There is so much more to Panama than the magnificent canal - it is a paradise for wildlife enthusiasts, diving and snorkelling are excellent on both Pacific and Caribbean coasts, and the isthmus is home to seven different indigenous communities who strive to preserve their unique and colourful traditions. 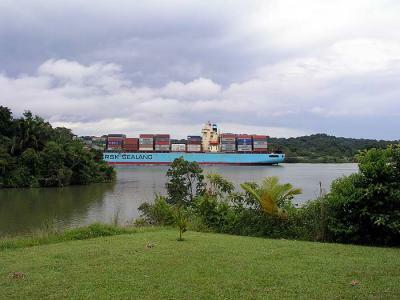 Watching huge container ships and cruise liners making their stately progress through the Panama Canal from a tropical jungle clearing, while a freight train rumbles by on the parallel railroad, is a bizarre and humbling experience. On either side, rainforest echoes with the calls of tropical birds - hinting at the amazing biodiversity beyond. Panama has some of the best-preserved rainforest in Central America, home to rarities like the quetzal and harpy eagle (Panama’s national bird), and extravagant macaws, parrots and toucans. Mountains, cloud forest, wetland and mangrove support a huge variety of fauna from tiny tree frogs and monkeys to big cats. The archipelagos of Bocas del Toro and San Blas (run by its native Kuna people) are incredibly beautiful - turquoise seas, white sandy beaches shaded by coconut palms, and coral reefs swarming with fish. Panama City is well worth visiting for its striking contrasts of old and new - quiet cobbled squares and faded colonial buildings against a skyline to match Manhattan. 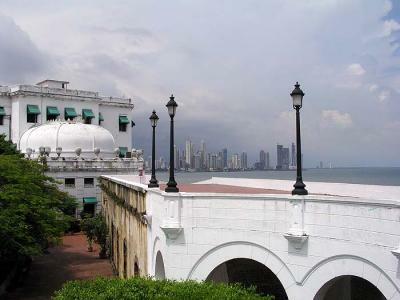 The cosmopolitan capital of Panama City is a city of contrasts - the old 'Casco Viejo' peninsula with its colonial facades and the modern high rise financial district, justifying its nickname of the 'Miami of the Americas'. Bocas del Toro on Panama's Caribbean coast has some wonderful uninhabited islands. Spend a day relaxing on one of the tranquil beaches under swaying palm trees or explore the vast, emerald underwater world with a mask and snorkel. Temperatures are fairly constant throughout the year, but rainfall varies. The rainy season runs from June to November and rains can be particularly heavy on the Caribbean side from September to November. Panama is not affected by hurricanes. 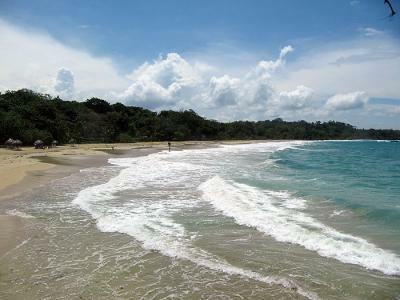 The most popular time to visit is the dry season, from December to April, however, diving and snorkelling are best during the rainy season, when there is less wind. No mandatory innoculations although we would recommend tetanus, typhoid, polio and Hepatitis A. Malaria pills required in some parts of the country. No visas for UK citizens. US citizens (and other nationalities) must pay for a tourist card on arrival in Panama. The currency is the Balboa (C$, coins only), and the exchange rate is C$1 to US$1. There are no Balboa notes so US$ notes are used. Phone lines are run by Cable and Wireless, there are offices in most towns. Public pay-phones take coins. Phone cards are available in varying denominations, for both national and international calls. Official language is Spanish though English is widely understood, particularly in the area around the Canal and in the capital. There are 14 other languages or dialects spoken by Indians in rural areas. We would recommend a hire car in Boquete and surrounds in the west of the country. Drivers in Panama City are erratic so a hire car is not recommended!